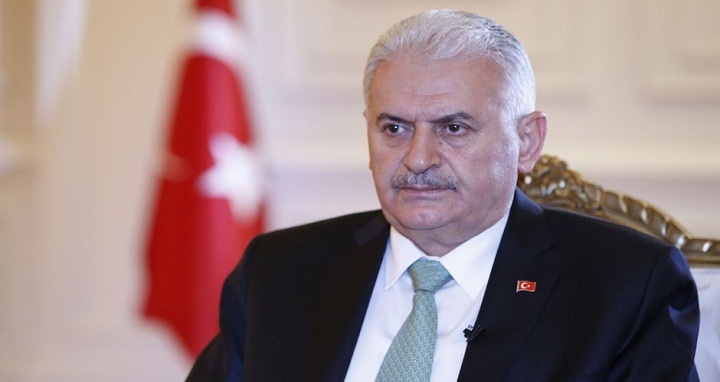 Dhaka, 19 Dec, Abnews: Turkish Prime Minister Binali Yildirim will visit Rohingya Refugee camps in Cox's Bazar tomorrow to see the plight of Rohingyas who fled from a military crackdown in Myanmar's Rakhine state since August 25. The premier arrived in the city last night on a two-day official visit at the invitation of Prime Minister Sheikh Hasina. During his visit, Binali Yildirim paid homage to the martyrs of the Liberation War of Bangladesh by placing a wreath at the National Martyrs' Memorial at Savar this morning. He also signed a visitor's book there and planted a sapling at the memorial premises. The Turkish PM also visited Bangabandhu Memorial Museum at Dhanmondi to pay tribute to Father of the Nation Bangabandhu Sheikh Mujibur Rahman. Later, he went round different sections of the museum and signed a visitor's book there. On his way to Bangabandhu Memorial Museum from Savar, the Turkish premier inaugurated a cancer unit at Shaheed Suhrawardy Medical College Hospital at Sher-e-Bangla Nagar in the capital. Later, he held a meeting with his Bangladesh counterpart Prime Minister Sheikh Hasina this afternoon where Bangladesh, Turkey bilateral relations, Rohingya issue and other regional and international issues were discussed prominently. According to schedule, the Turkish Prime Minister will call on President Md. Abdul Hamid later this evening at Bangabhaban. He will also join a banquet to be hosted in honour of him by Prime Minister Sheikh Hasina at Hotel Sonargaon at 8 pm. Meanwhile, Turkish First Lady Emine Erdogan, and Foreign Minister Mevlut Cavusoglu visited Rohingya camps in Bangladesh in September and witnessed themselves the plight of the Rohingya people.